Grooming your dog is a long and tedious process. It gets worse with claw care since it requires your pooch to stay still. As most dogs are disinterested in keeping their claws short and clean, effective nail clipping requires patience, technique, and the best dog nail clippers that you can find. Before going into details about which option to get, there are a couple of things you need to know when it comes to grooming your dog's nails. These information will help you make an educated decision about which choice fits your needs. Which Type of Nail Clipper Should You Get? This style is the simplest to use and the most common out in the market today. It is best for smaller dogs since their nails are more delicate and it can be tricky to cut when they fidget. All you need to do is to simply insert the nail into the metal hole then gently squeeze the handle. The blade will simply slide through the excess nail, leaving a clean trim. However, this type of trimmer is not suited for bigger dogs as it does not have enough force to cut thicker nails. Another downside is the blade will get blunt with use and will have to be replaced every now and then. Medium to large size dogs have thicker nails that need stronger clippers. Also known as scissor trimmers, this type is called as such because it looks like scissors, but with semicircular indentions on the blade. This design allows for more force in cutting thicker nails. It is also made in such a way that there is no need to replace the blades. One downside, however, is this type is not suited for smaller dogs. At the same time, people with arthritis might find this clipper difficult to use due to the shape of its handles. 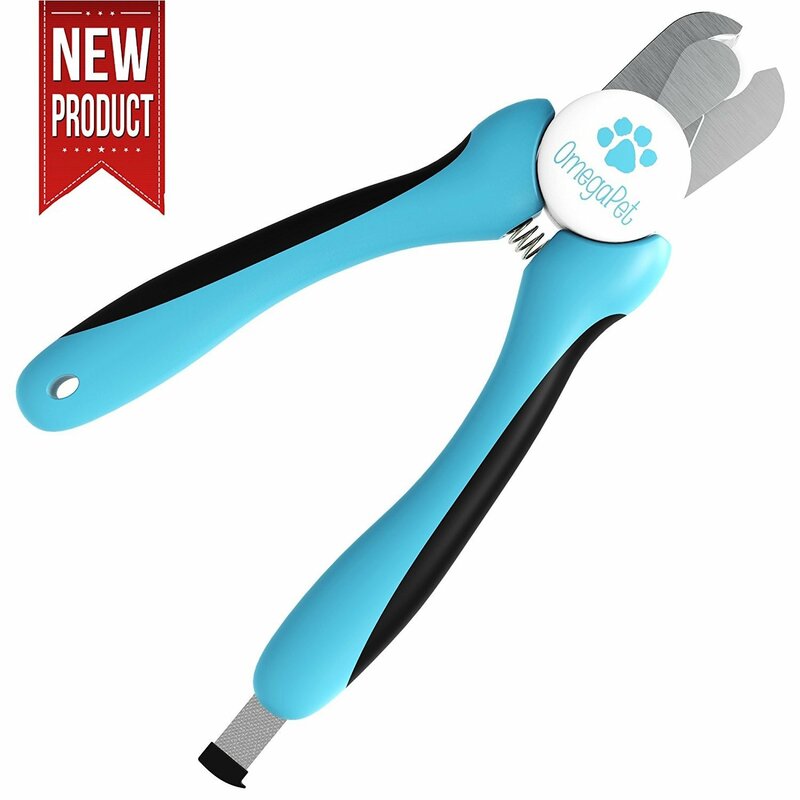 If you do not like the jagged edges on your dog's nails due to clipping, you can simply file them using these powered nail files. Made of small, rotating sandpaper, this alternative allows slow, incremental claw care. The best part about this is you skip the risk of accidentally cutting your dog's skin. Instead of clipping, you can grind down the nail. 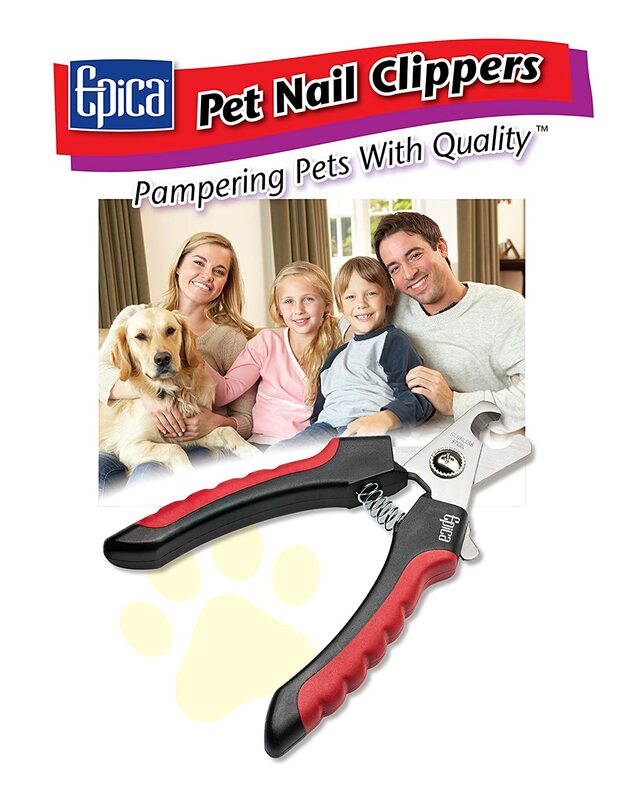 This works best for dogs that are too fidgety when being groomed or for those who have very thick nails. The only problem with this method is you need to train your dog to get used to the vibrating sensation. Although training may take longer than the actual clipping, this method is worth the time and effort as it gets easier the more you use it. Another best selling item is this merchandise from Epica. It works best for medium to large size dogs. Its design allows enough comfort to your hands and angle to put force into cutting thick pet nails. It is extremely sharp and the high quality blades don't get blunt easily. Capable of cutting nails of different thickness, this awesome creation from OmegaPet is cheap but high quality. Lightweight and very easy to maneuver at different angles, this item comes with ergonomic handle and safety guard. 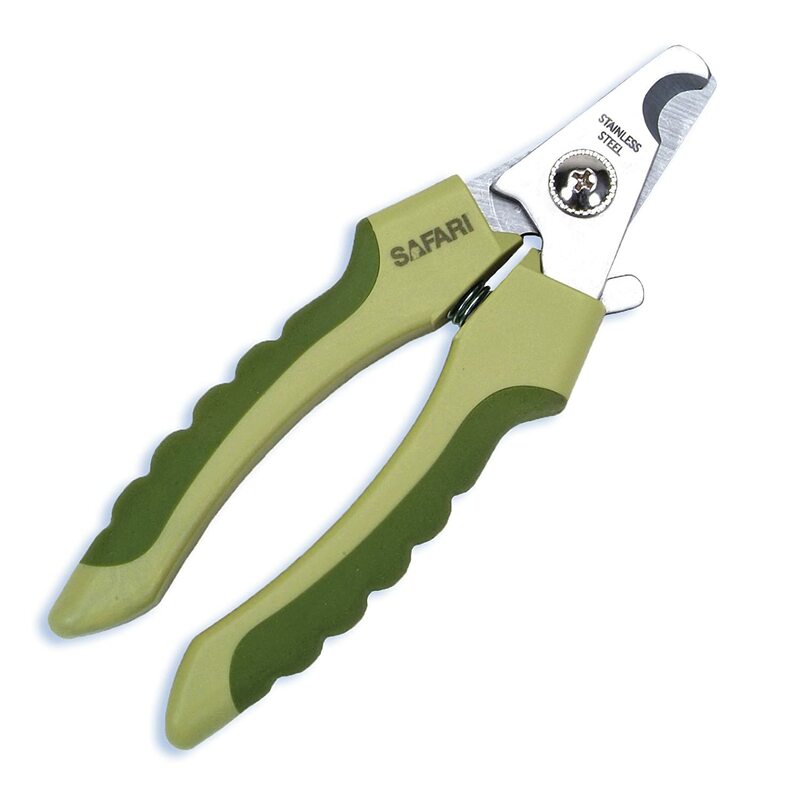 Sharp, easy to use, and reliable, this nail trimmer from Safari has everything you can expect from a top-shelf item. It is in second place because of its traditional design mixed with the latest improvements in pet nail care. 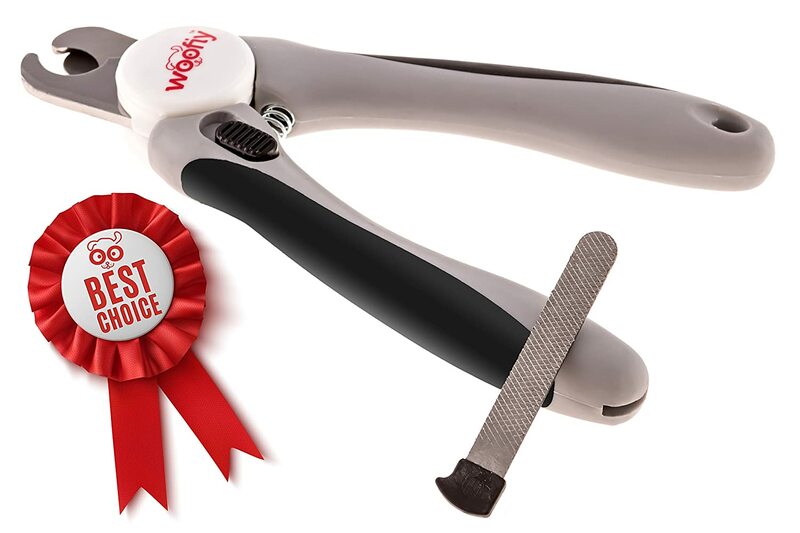 Lightweight and easy to grip, this Woofiy creation comes with a guard to help avoid clipping accidents. It also comes with a handy nail file. That said, these clippers are great for dog owners who have less experience with cutting their dog's nails. You will also find this extremely easy to use. 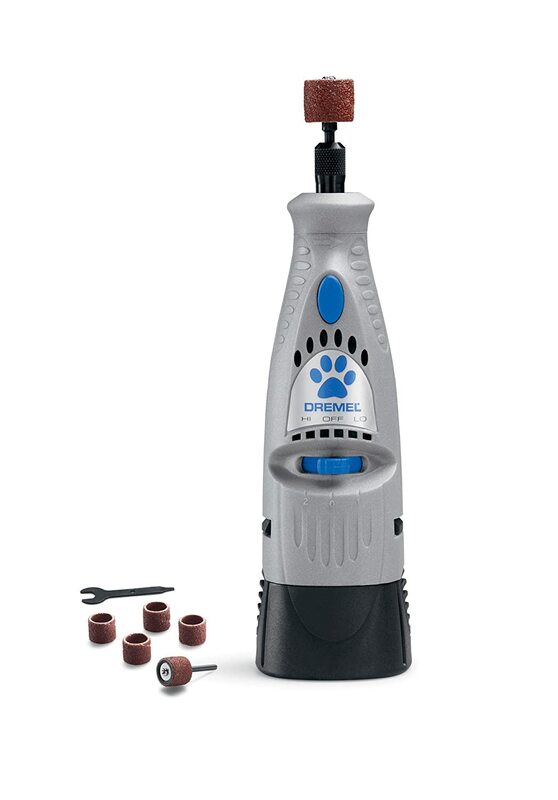 Commercially known as Dremel MiniMite Cordless Two-Speed Rotary Tool, this electronic pet grooming kit is at the top of our list because it can trim, cut, and shape your pet's nails with as little effort as possible. Safe and effective, the Dremel nail grinder is more expensive than traditional options, but it is absolutely worth its price. The list is a rundown of the best products in the market at the moment. Obviously, the best choice is the number one pick for this review. However, it will also depend on your pet's attitude towards grooming as well as your preference as the caretaker. Once you have purchased your choice, make sure you know how to use it properly first before using it on your dog. Follow instructions to avoid bleeding and injuries. And finally, make it a habit of cutting your dog's nails and creating a non-threatening environment when you do it. Eventually, your dog will associate this as a positive experience and will be less difficult on your next grooming session.